A protein shake – or smoothies as some people like to call them – can be as basic or as complicated as you want. We like to be adventurous here and find recipes that are, well, maybe not the first thing you would think of. Many people, most in fact, spice up their basic protein shake. Most shakes come in multiple flavors: vanilla, chocolate, strawberry, etc. But that can get boring. So take some time to make it more interesting. We will have more recipes coming soon. 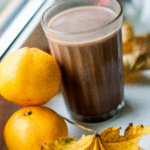 Click here to learn more about protein drinks for people getting older. 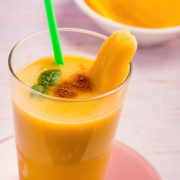 Check out the Orange-Mango Protein Shake recipe for today. Because you probably already link oranges and mangoes – why not put them together, right? This turns out to be a great combination. Mangoes are one of my personal favorites of all time. But they can be a little messy when you eat a fresh, ripe one. Worth it though. I remember living in Fiji and we had as many mangoes as we wanted from the tree in our yard. As long as we could shoo away the local kids from knocking down all the green ones before they could get ripe. Directions: Shakes taste best cold. Blend all ingredients together with ice in a blender until creamy. Tell me what you think below in the comments. I want to hear. Especially if you have been adventurous and tried out the this recipe or the Apple Pie Shake recipe. Just send me a message if you would like to know more about the protein shake mix that we recommend. Click here to see all of our recipes! Many people, most in fact, spice up their basic protein shake. Most shakes come in multiple flavors that you already know: vanilla, chocolate, strawberry, etc. But that can get boring, right? So take a little bit of time to make it more interesting. We will have more recipes coming soon. The Pina-Colada Protein Shake is today’s recipe for the adventurous. Okay, this one is a no-brainer. 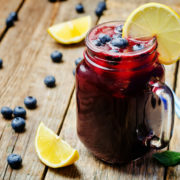 While it may not be as unexpected as some of the other concoctions we have been suggesting it has become of our favorites. This recipe calls for more ingredients than most of our protein shake suggestions. (Sorry about that!) But the good news is that is going to have fewer grams of sugar. Yippee! 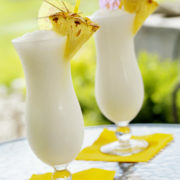 The combination of the lemon and pineapple with the two types of milk is what gives it the tangy flavor. And the rum flavoring, while optional, is a definite plus to the combination. Using real rum; well that is up to you. Tell me what you think below in the comments. 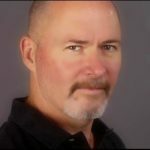 I really do want to hear what you think. Especially if you have been adventurous and tried out the this recipe or the Apple Pie Shake recipe. Today’s recipe is for the Pomegranate-Berry Shake. Because pomegranate is known to be a great antioxidant this is a winner. And berries are a good way to sweeten the taste of almost anything. So why not combine the two? Many people, most in fact, spice up their basic protein shake. Most shakes come in multiple flavors: vanilla, chocolate, strawberry, etc. But that can get boring. So take some time to spice it up. We will have more recipes coming soon. 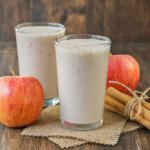 Apple cinnamon smoothie on wooden rustic table. Fall inspired breakfast. Apple pie smoothie. Tell me what you think below in the comments. I want to hear. Especially if you have been adventurous and tried out the Apple Pie Shake recipe.